In the midst of a major debt restructuring exercise, Trinidad Cement Limited (TCL), parent company of the St Lucy-based Arawak Cement Company Ltd., has announced that it could be saying farewell to the Barbados Stock Exchange (BSE) following its annual shareholders meeting at the Hilton Trinidad next month. In a notice this week, the company also announced its intention to delist from the Eastern Caribbean Securities Exchange (ECSE) and the Guyana Association of Securities Companies and Intermediaries Inc. (GASCI) because continued listing on the three regional stock exchanges was “not economically feasible”. Expressing concern over the development, BSE General Manager Marlon Yarde told Barbados TODAY TCL’s decision to delist was outside the control of the BSE, noting that it was up to the company to weigh the advantages of being listed with the costs. Describing trading activities on the regional stock exchanges as “sporadic and nominal at best, but generally dormant”, the company stated that the continued listing of TCL shares on the three stock exchanges was not economically feasible, given the costly listing/maintenance fees and the complex regulatory requirements which are required to sustain such low levels of shareholding and trading activity. “The Board of Directors of TCL, at a board meeting on May 21, 2015, passed a resolution authorizing the delisting of TCL shares which are currently listed on the BSE, GASCI and ECSE, subject to, among other things, shareholder approval,” said the notice. “Be it resolved that the ordinary shares of TCL be delisted from the BSE, in accordance with the Securities Act, Chapter 318A of the Laws of Barbados, the rules of the BSE and any other statutory and regulatory rules and guidelines; the ordinary shares of TCL be delisted from the GASCI in accordance with all statutory and regulatory rules and guidelines; and the ordinary shares of TCL be delisted from the ECSE in accordance with all statutory and regulatory rules and guidelines,” it added. Because of the size of its operation, TCL, with subsidiaries in Barbados and Jamaica, pays the maximum – almost $20,000 in listing fees – on an annual basis, and just over $8,000 yearly in fees for management of its register on the BSE. The listing fees and trading fees on the BSE have not been changed in more than a decade. The registry services fees have been adjusted over the years. TCL is not the only cross-listed company that has expressed concern about low trading activities on the BSE. In the first quarter of this year, shareholders of the Trinidad-based Massy Holdings Limited approved the voluntary delisting of that company’s shares from the BSE following recommendation at a November 6, 2014 meeting of the board of directors. Yarde said the matter of companies delisting from the BSE was one that the board of the BSE would have to meet and discuss in order to come up with ways to keep and attract more companies. “It is what we do and what we are here for. So when companies delist yes, we are concerned and we have to find ways to keep companies listed,” said Yarde. “What we need is more listings. What we have to do is find ways to encourage companies to list . . . 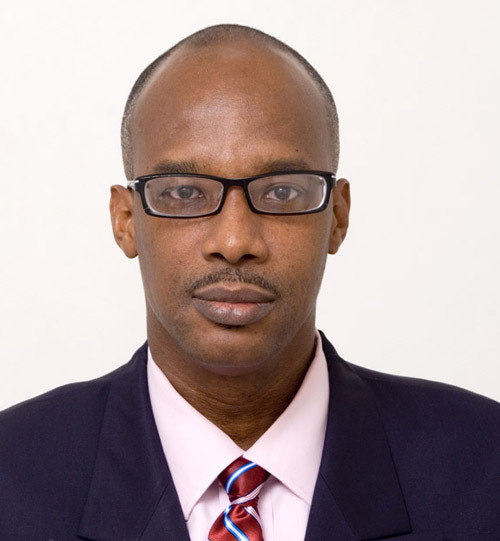 Businesses have to look at the advantages of listing and see if it fits their business model and what they seek to achieve in terms of financing their business going forward,” said Yarde, acknowledging that the TCL Group was undergoing debt restructuring “and cost is a factor for them”. Yarde said: “I believe the more companies that list, the better it is for the economy as a whole”. Last month, TCL appointed Jose Luis Seijo as its new chief executive officer. The company announced that with its financial restructuring near completion, Seijo’s focus would be on value creation for the company and its stakeholders. Jose Luis Seijo holds a B.Sc. in Mechanical Engineering with a Master’s in Finance from the University of Bath, UK. what about T&T saying goodbye to Barbados and let us run our own ship .